Welcome to Cupcake Week on Willow Bird Baking! Last week was quiet around here, in large part because I was conducting a summer camp for middle schoolers. Not one of those sleep-in-tents, get-harassed-by-cheeky-raccoons, feed-your-body-to-mosquitoes kind of summer camps, but the kind of summer camp dreams are made of: CUPCAKE CAMP. 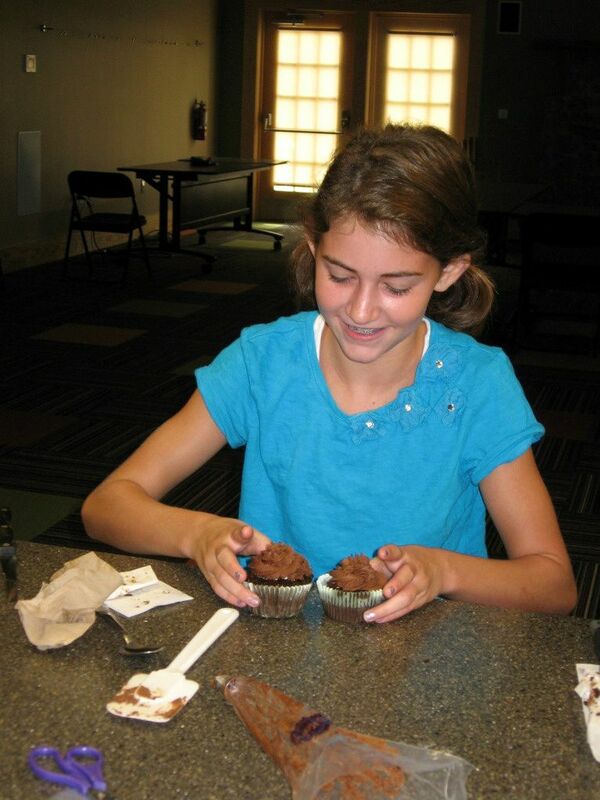 Cupcake Capers was a 5-day camp where campers learned to bake, fill, and frost cupcakes. We eschewed pedestrian cupcake flavors in favor of creative combinations that I now get to share with you! 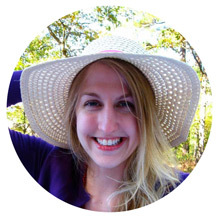 Every day this week I’ll be posting fun memories and recipes from Cupcake Camp. Monday morning at 9 a.m. sharp, five sweet faces popped into the Cupcake Capers kitchen ready for dessert. Cake and frosting might not be morning fare for your average kid, but these five kids were anything but average. They were the Cupcake Campers. Meticulous Mary Rood, Energetic Erica, Pistachio Peyton, Elaborate Elizabeth, and Elbow Grease Ella were bright-eyed, bushy-tailed . . . and hungry. But first thing’s first: we had to ensure no one would lose limbs or eyeballs during our week-long exploration of all things cupcake. The campers settled down to build their cupcake boxes and draw designs on fresh white aprons with fabric markers while I began reciting the litany of safety rules. You might remember these sorts of safety rules from the Home Economics classes of your youth. They cover important things such as not sticking metal objects into electrical sockets, re-washing your hands if you sneeze all over them, and resisting the urge to dance around with knives. The kids snickered at a few of the most obvious ones, but also learned a few things they may not have realized. I noticed them all look down sheepishly at their flip-flops when we got to the “closed-toe shoes” rule. I held up my own flip-flopped foot and shrugged: “We’ll just be really careful that no one loses a toe today.” Oh, the hazards of holding a cooking class in summer . . . Finally, we were ready to get our hands on some cupcakes! 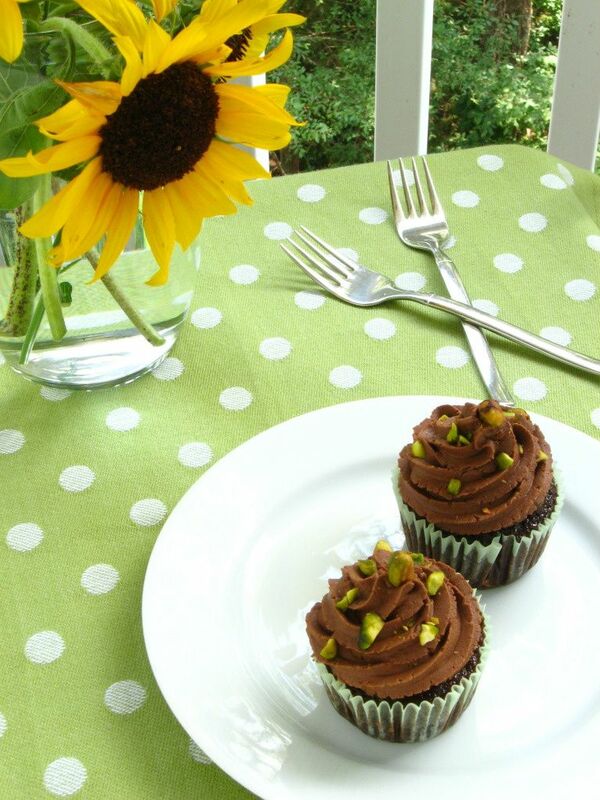 I’d prepared some moist chocolate cupcakes, easy pistachio mousse, and a rich, stiff chocolate buttercream to teach the girls how to fill and frost a cupcake. They set to work using the Cone Method (my preferred technique for filling cupcakes) to create a cavity in each little cake. I love the Cone Method. 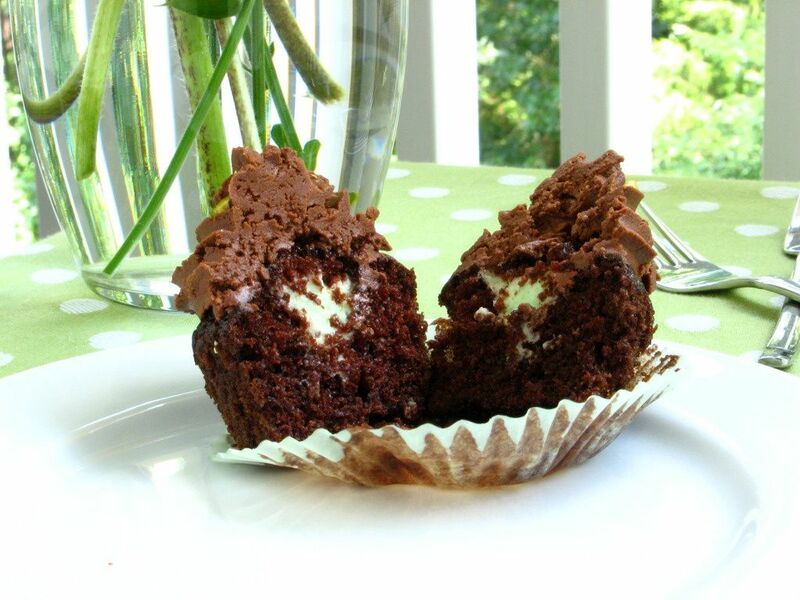 If you stick a pastry tip into a cupcake and squeeze without creating a cavity first, you usually (depending on the density of your cake) end up with a disappointing pittance of cream. Filling needs space to fill! You could just cut a big hole in the top of your cupcake, fill it, and frost over it, but depending on your frosting type, that might not end up too neat or pretty. With the Cone Method, however, you cut an upside down cone out of the top of your cupcake by cutting in a circle with a knife held at an angle (much like you’d hull a strawberry). You then cut the tip of the cone off leaving just the “lid.” Fill the cavity with as much filling as you can, replace the lid, and frost like usual. 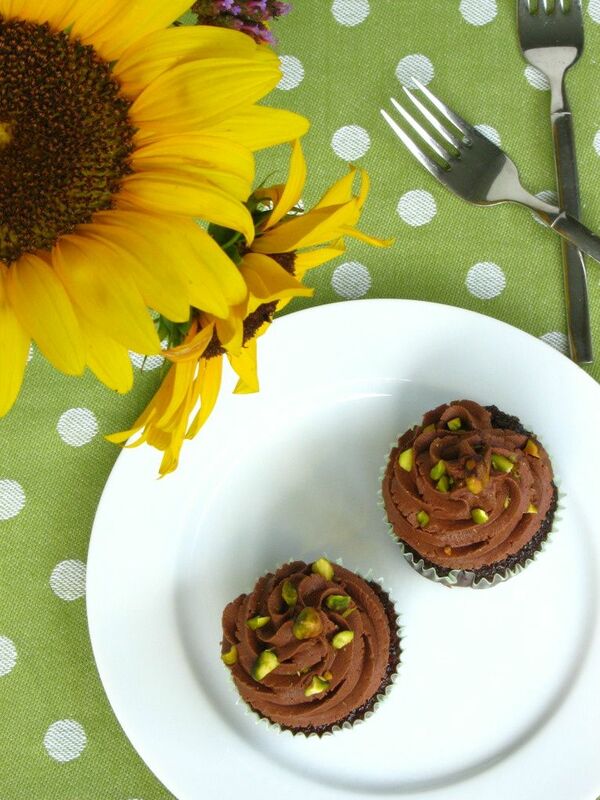 The Cupcake Bakeshop has lovely photos of this method on this post. We filled our cupcakes with a simple mousse I’ll brag about tomorrow, frosted each one, and topped them with pale green pistachios. Elaborate Elizabeth crusted hers with a thick layer while some of the other girls created a sparse design. When the first day of camp was drawing to a close and each camper had assembled their own unique cupcake, we went outside and spread a blanket on the grass for a cupcake picnic. The girls devoured their handiwork with exuberance, and these moist, creamy, salty and sweet cupcakes remained one of their favorites all week long! *Note: This recipe makes twice as much mousse as you need for filling the cupcakes. If you want to use half the pudding pack and save the rest for later, just measure it out and do so. Or use the extra mousse for another project (you know, like eating it with a spoon). Line two muffin tins with paper liners. Preheat oven to 350°F. In a large bowl, whisk together sugar, flour, cocoa, baking powder, baking soda and salt. Add eggs, milk, oil and vanilla. Beat the mixture with a mixer set on medium speed for 2 minutes. Stir in the boiling water and then pour mixture into a measuring cup with a pour spout to help you fill the paper liners (the batter will be very thin). Fill cups just a little over 1/2 full with batter (be careful not to overfill, because these cupcakes get wonky if you do). Bake 12 to 15 minutes or until a toothpick inserted into the center comes out with just a few moist crumbs. Cool completely. To make the pistachio mousse, combine milk, cream, and pudding mix in a medium bowl. 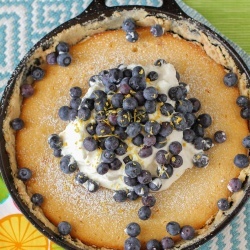 Beat with a mixer until you reach soft peaks, or a thick whipped cream consistency (this takes a few minutes). Refrigerate mousse until you’re ready to use it. To make the frosting, cream shortening and butter together in a large bowl. Mix in cocoa and vanilla. Add in the sugar one cup at a time while beating on medium speed and scraping down the sides of the bowl often. Add milk and beat until the frosting is light and fluffy. Cover the bowl with a damp cloth until ready to use. Now you’re ready to assemble the cupcakes. 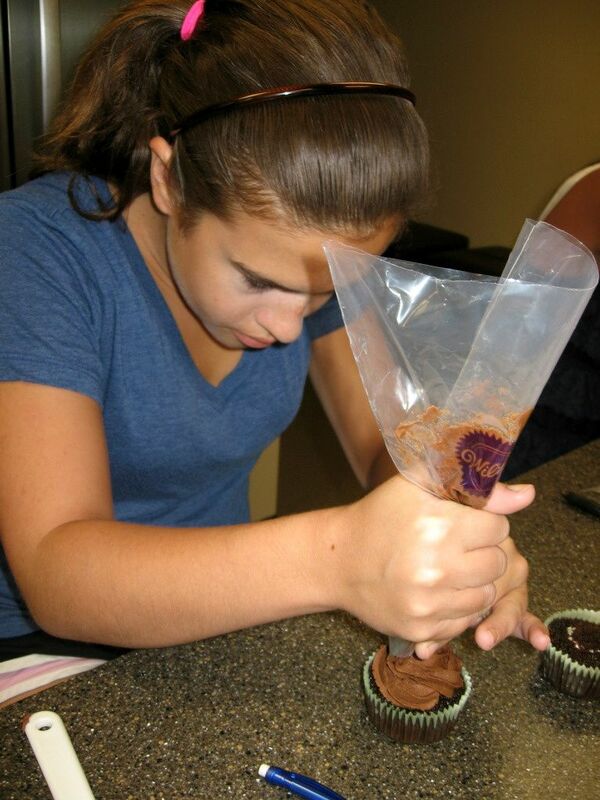 To fill the cupcakes, use the Cone Method: cut an upside-down cone out of the top of each one. Cut off the tip of the cone (and eat it, if you wish) leaving just the “lid.” Fill the cavity with pistachio mousse using a piping bag or zip-top bag with the corner cut off, and then replace the “lid” to give you a relatively smooth surface to frost. Use a piping bag or zip-top bag to pipe on the frosting. 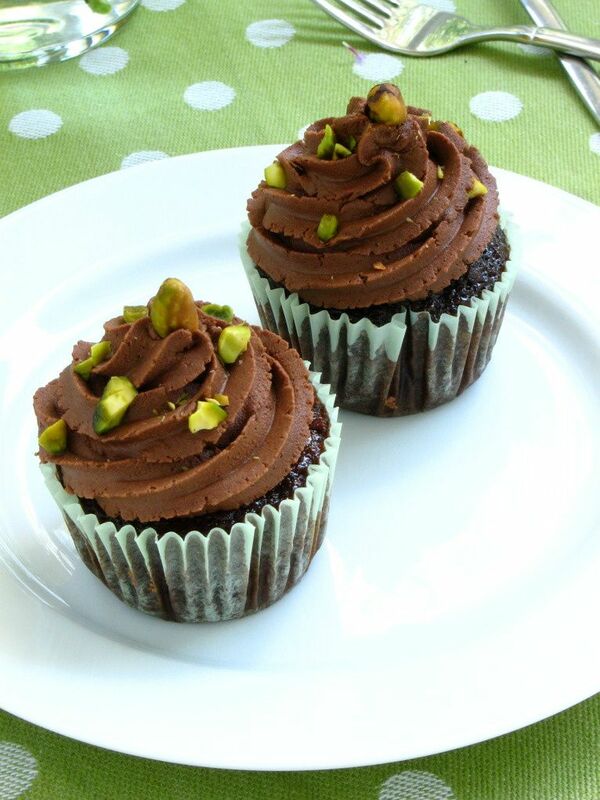 Top cupcakes with pistachios. Other ways to share this post with friends! These look amazing. The girls look like they were having the time of their lives! Aww..cupcake camp! How cute 🙂 I love pistachio, especially with chocolate, Fantastic recipe. Thanks, Ali! I’ll check it out. What a super fun idea for summer camp! I wish there had been something like that around when I was young. Can’t wait to hear about that mousse! I wish that I could be in your class! Looks like fun!! Who wouldn’t want to go to Cupcake Camp? The cupcakes look delicious! I can’t wait to see what else you made. What a great camp….you are an amazing person! Aw, what a sweet thing to say. Thank you, Norma! Julie you are just the best! This is to awesome, I’d love to host a cupcake camp 🙂 Can’t wait to read about the rest of your week! Aw, thanks, Natalie! I LOVED your Cheesecake party! Too fun! Yum … this sounds amazing! Pistachio ice cream has always been my fave to look at because it’s green. hee hee. Too bad I’m actually allergic to it, but your posts are still fun to read! Thanks for sharing all of your great recipes, and I LOVE the apron you’re wearing! Thank you, Rhonda! My mom actually made that apron! I love it so much, too! How fun!! 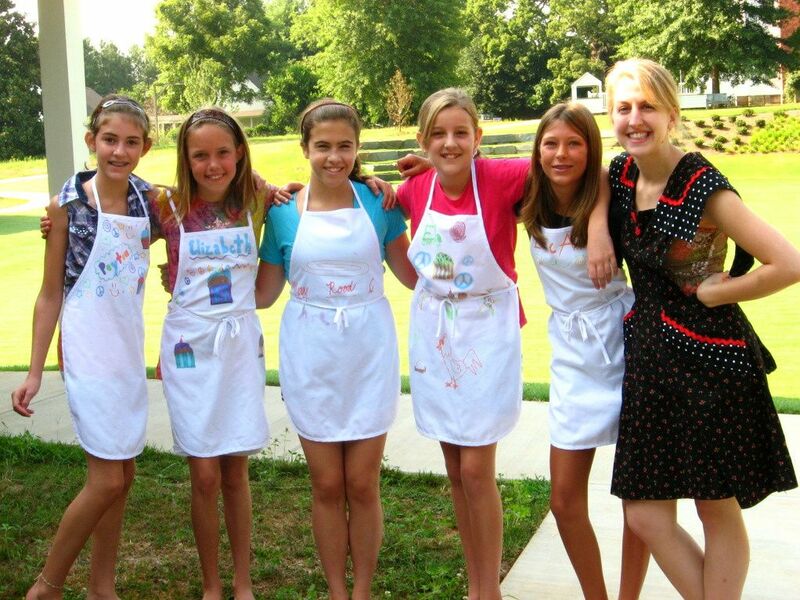 I wish I had gone to cupcake camp when I was younger. I still wish I could go to cupcake camp! 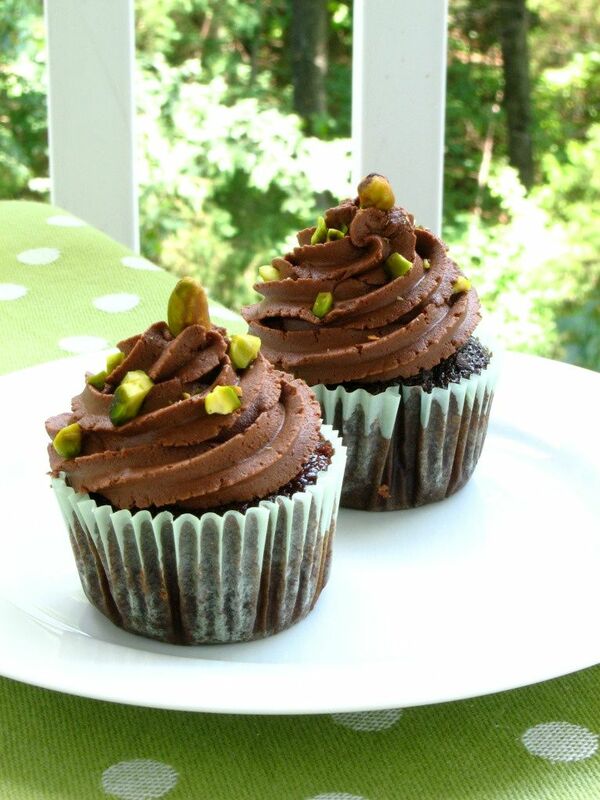 I love the combination of the chocolate with the pistachios! Thanks for sharing!